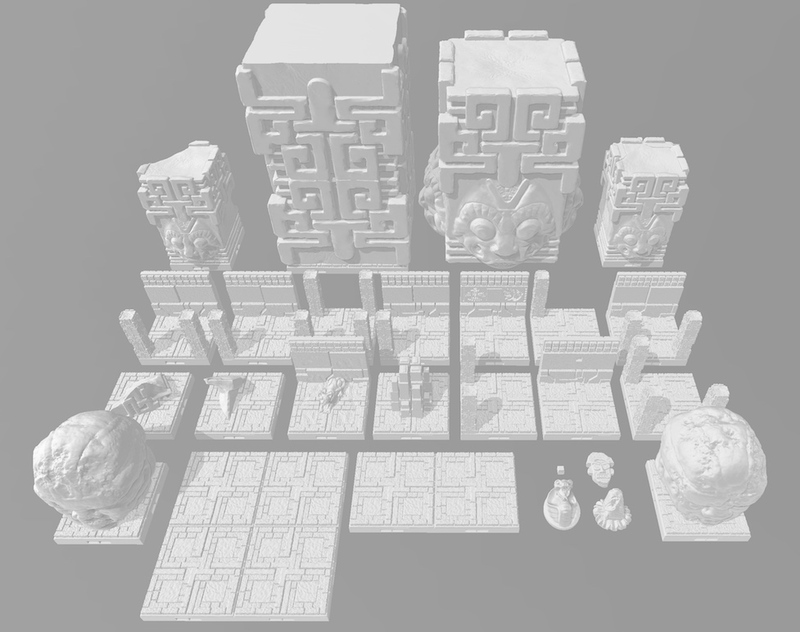 This set of 3D-printable terrain, Aztlan 2, is a continuation of Will's first self-published title. This line shows his love of Mesoamerican culture and this set seeks to be a celebration of multiple civilizations. It includes several large statues, additional walls and floors in the original Aztlan style, wall decorations, and more -- almost 30 DragonbiteTM-compatible STLs in all.